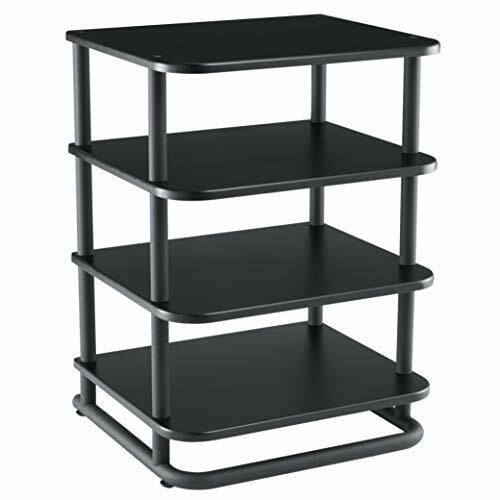 The sinus SFV49B is a steel furniture Series 49" three-shelf a/V stand featuring heavy-gauge steel construction and crisp, clean lines to create a modern, sophisticated look. 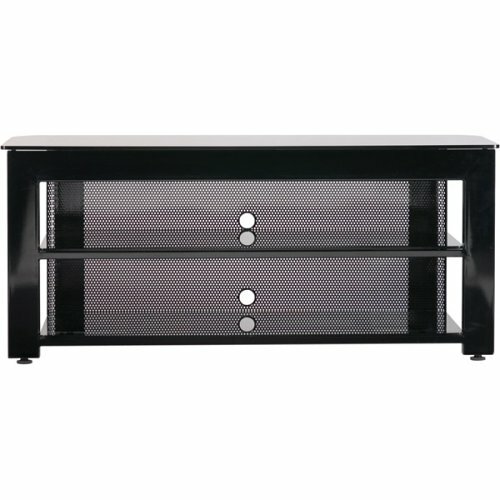 Its tempered-glass top and shelves are extra-thick to support most any TV and a/V component systems. Features include a wire management path to neatly route cables, an aesthetic perforated steel back panel, open architecture for maximum airflow, and adjustable feet to ensure level and secure positioning on any floor surface. Sanus component Series CFR2127 AV rack can support up to 750 lbs. of AV gear. It comes pre-assembled with blanking panels and vented shelves, which include back stops to ensure AV equipment does not move during use. Quick-release back and side panels allow complete and total access to components and wiring. 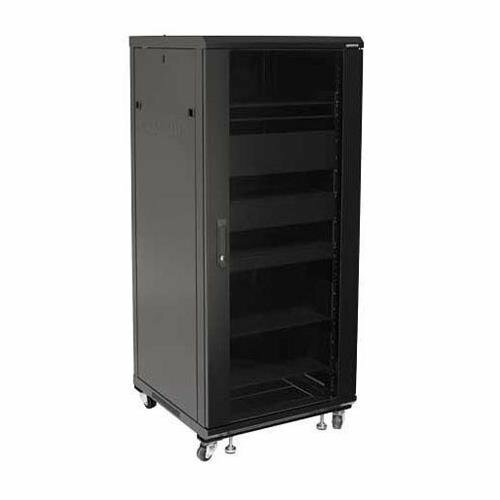 The rack has two 3U cut-out openings on both top and bottom of the rack as well as a removable 3U panel that can be located above or below the rear rack door for added Venting or active cooling flexibility. Swivel casters and adjustable feet allow mobility and stable positioning, and cooling vents on the top and bottom of the rack ensure all equipment stays at the ideal temperature. The CFR2127 comes with additional accessories to gang racks together and to make the side panels lockable. 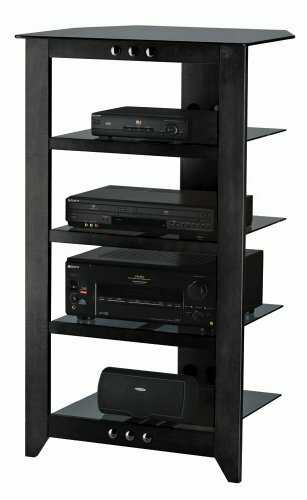 The Sanus Foundations Euro Series EFA31 four-shelf audio rack brings a contemporary look to any room with its hand-sanded, Black lacquered finish. Its fully customizable design can easily be expanded to fit any AV system--simply add EFAS audio expansion shelves as needed. The rack's open architecture keeps components cool with constant airflow, and quick lock clips route wires for a clean, organized look. Adjustable feet ensure the unit stays level on any surface. 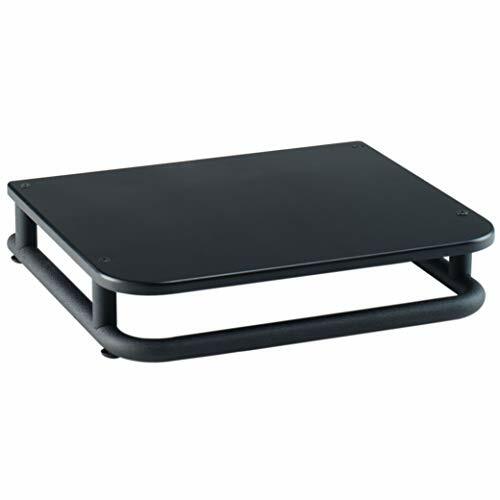 The Sanus Foundations Euro Series EFAS audio expansion shelf Features a hand-sanded, Black, lacquered finish. 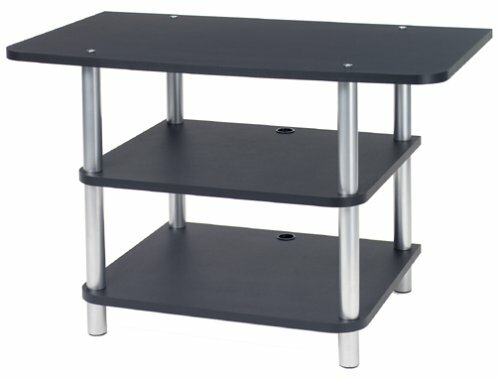 The expansion shelf must be combined with the EFAB base to create a fully customizable audio rack. The EFAS has an open architecture design to keep components cool with constant airflow and quick lock clips to route wires for a clean, organized look. Sanus Accurate Video Furniture is a stunning blend of open architecture design and the contemporary look of wood and chrome. Accurate Furniture sets a new value standard by offering superior strength and beautiful aesthetics at a price that is far below comparable designs.The beautiful open architecture of Sanus Accurate Furniture is achieved by blending the exquisite smooth chrome finish of the tubular pillars with the luxurious black or maple finish of the shelves. 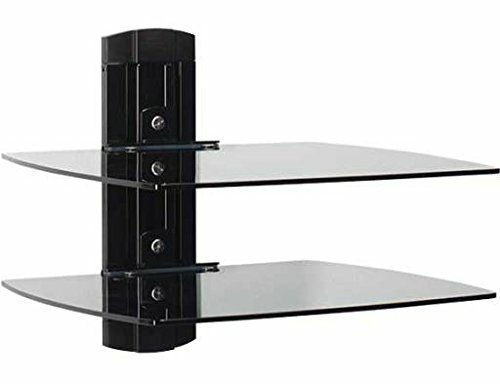 The corners of the shelves curve gently around each pillar creating a unit that complements any TV and video components.Accurate Furniture's modular open architecture allows maximum airflow for today's heat-generating audio equipment and its quality construction ensures a high level of strength and stability. The shelves have a wood composite core with a durable melamine finish in either satin black or maple. Tubular pillars are made of steel with a quality powder-coated finish in smooth chrome. Premium allen-head fasteners and welded-in nuts are used throughout to ensure tight connections for maximum rigidity. A wire management path is provided to keep all cables neat and safely out of the way. Carpet glides are inserted into the feet. 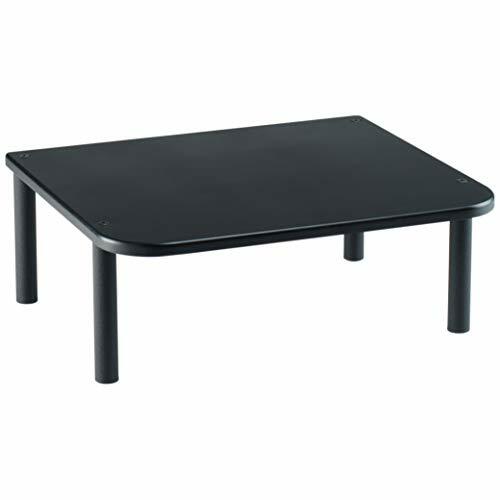 The Sanus Foundations Euro Series EFAB audio base Features a hand-sanded, Black, lacquered finish. Combine the base with EFAS audio expansion shelves to create a fully customizable audio rack that brings a contemporary look to any room. The base's open architecture keeps components cool with constant airflow, and quick lock clips route wires for a clean, organized look. 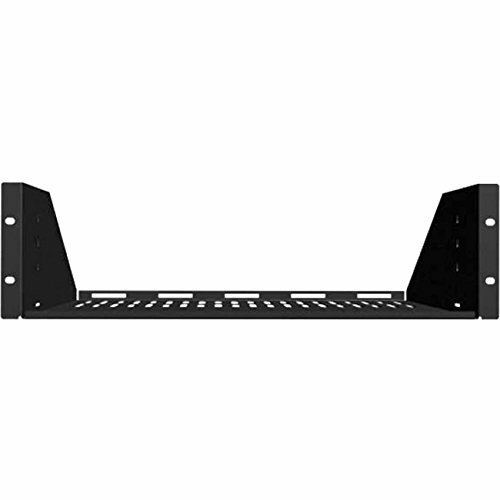 Adjustable feet ensure the EFAB stays level on any surface. Size: 21.70in. x 21.10in. x 7.20in.